Failing to achieve your physical goals? Working out in a facility that doesn’t provide all the equipment you need? Driving to the gym on a daily basis through traffic? Waiting in the queue before using particular equipment? Receiving regular spam with tips and tricks on how to improve yourself? If you answered yes to at least one of these questions, you are certainly on the right page. Here at IStayFit.Org we are truly dedicated to giving a hand to those like you. We aim to help you reach your potential, but also achieve your goals – both mentally and physically. How? Simple! We help people build the perfect gym – deeply customized and entirely based on their personal necessities. Where? Even easier – the comfort of their own home. We are specialized in testing various gym equipment to the limits, then we offer detailed and honest tips and advice, whether you need help deciding on an elliptical trainer or a treadmill. The industry of home fitness equipment is extremely complex. There are not just dozens of items, but thousands of them spread over hundreds of categories. Even if you know exactly what you want for your home workouts, you still have to go through a series of models, features and options. You can’t try most of them and you certainly can’t do your homework regarding each particular product. We know that, so we do that for you instead. 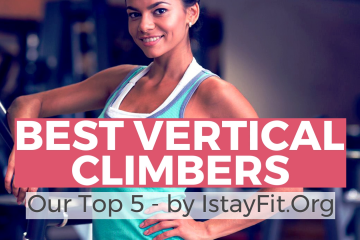 IStayFit.Org grabs the guesswork out of deciding on the right equipment. Of course, we don’t test every single item out there, but just the most popular and reputable ones. After all, there must be some reasons behind their popularity – the manufacturer’s reliability, stability, special features, durability and so on. Firstly, think about your long-term goals, as well as your plans. Decide what kind of equipment you need based on your needs. Luckily, each review can tell you whether a specific machine is good or not for you. Secondly, once you make up your mind, you can go through reviews and compare items. There will be more equipment suitable to your needs, so that’s when you have to go through features, bells and whistles, not to mention the best value for money. Third, you can also find the lowest prices for the desired equipment. Most people would like to improve their appearance and health, but they’re not 100% sure where to start. It’s up to you to determine what you want to achieve. Making this decision becomes the main factor in choosing the right machine. Furthermore, this is the top determinant of your motivation. 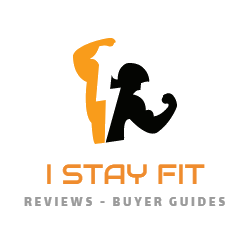 Each of our reviews at IStayFit.Org will also mention who the respective product is more appropriate for, only to make it easier for you. Some people want to lose weight, while other want to regain their tone. Either way, you can achieve this in a series of ways. A healthy diet combined with the right equipment and regular exercise will take you there in no time. What equipment do you review?